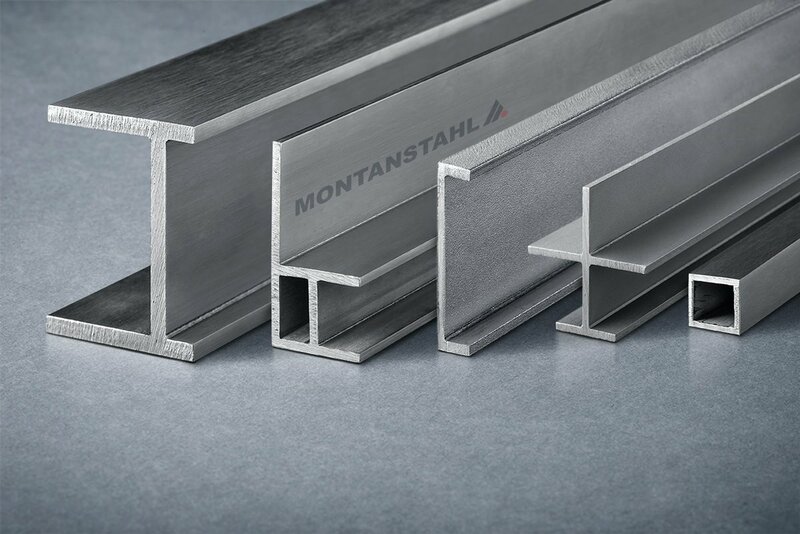 Montanstahl manufactures high-quality stainless steel profiles. Most of them have a grit shot blasted finish. 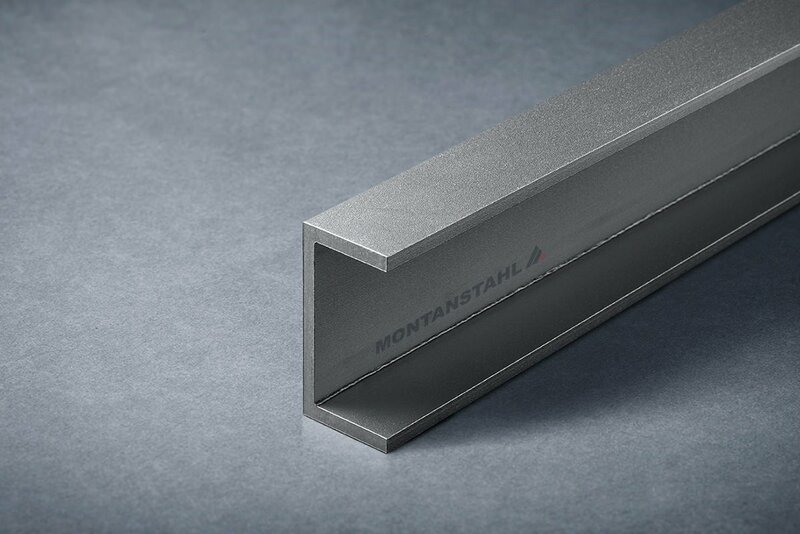 Next to cold rolled profiles, there is another product family: decorative polished stainless steel T-sections. Polished stainless steel T-sections can be used in household decoration and kitchen furnishings for example. The polished stainless steel T-sections come with a uniform and constant pattern, which ensures high-end finish for quality aesthetics. They also suit applications in shop-design or yacht interior decoration and furnishings. Most designers require a ultrafine finish like a mirror polish satin finish here. 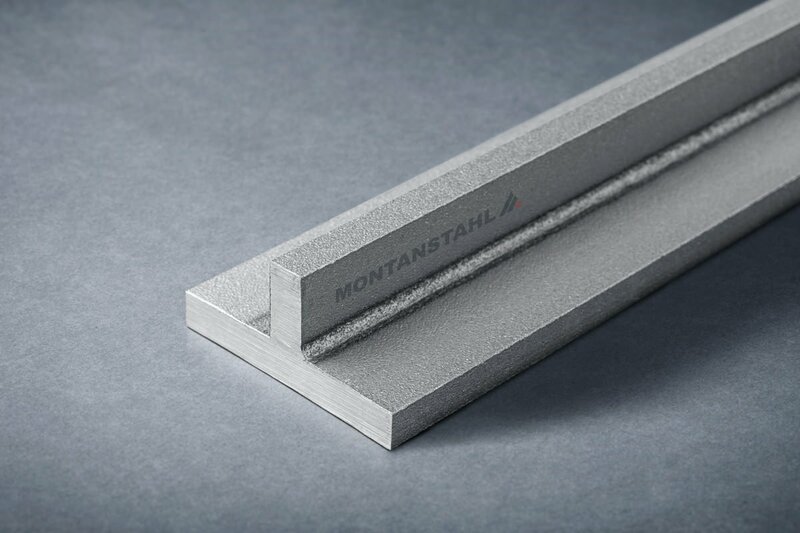 Montanstahl’s polished stainless steel T-sections, already polished to grit 320, offer an ideal raw material, granting significant savings when mirror polishing. 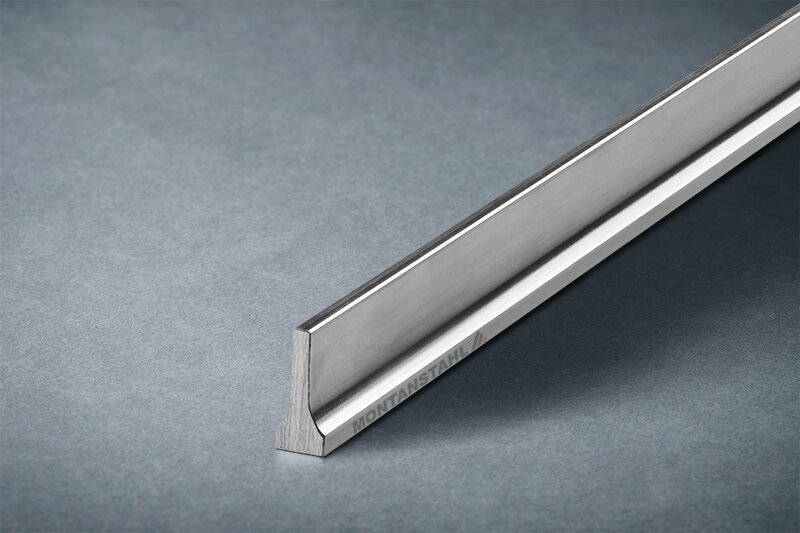 Stainless steel is highly decorative and polished stainless steel T-sections provide a brilliant bright finish for kitchens, bathrooms and clean rooms where hygiene is a priority. 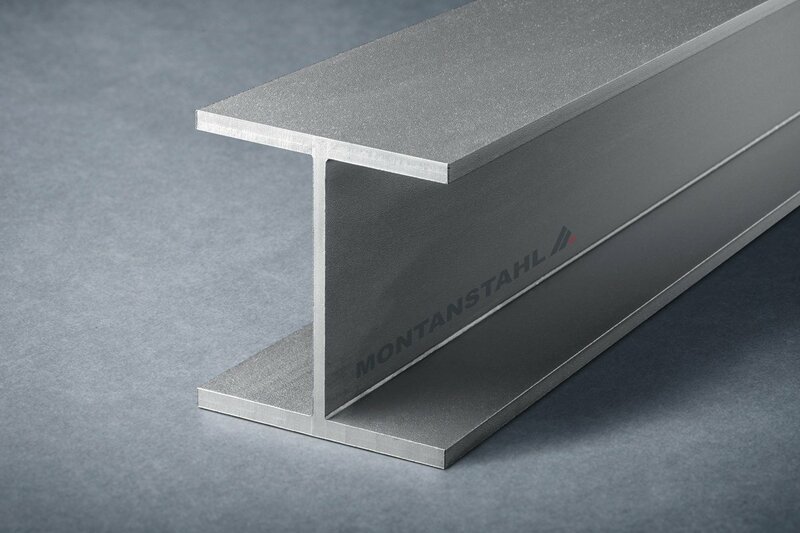 The Montanstahl production process of polished stainless steel T-sections is both industrialized and highly automated. In the workflow, the flat stripes are polished prior to welding. This smoothens the polishing process, but demands for special handling downstream. 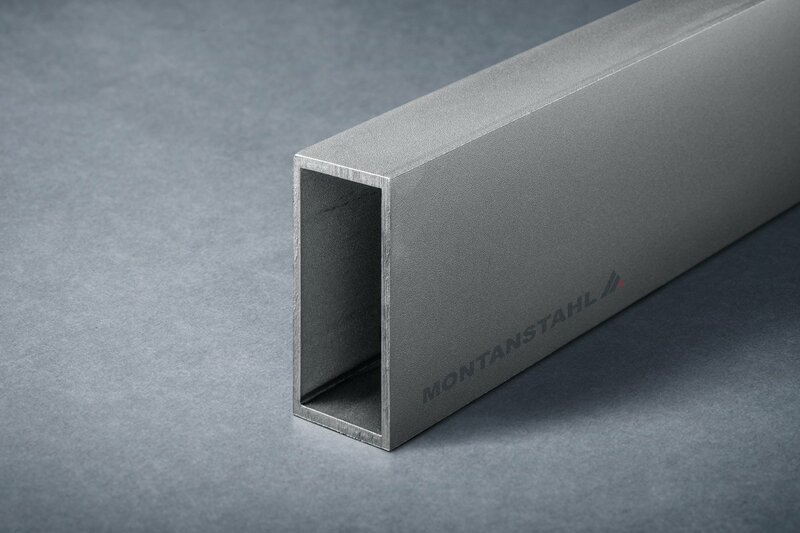 The use of special low impact laser welding lines, specially designed not to ruin the precious surface, allows producing superior products. 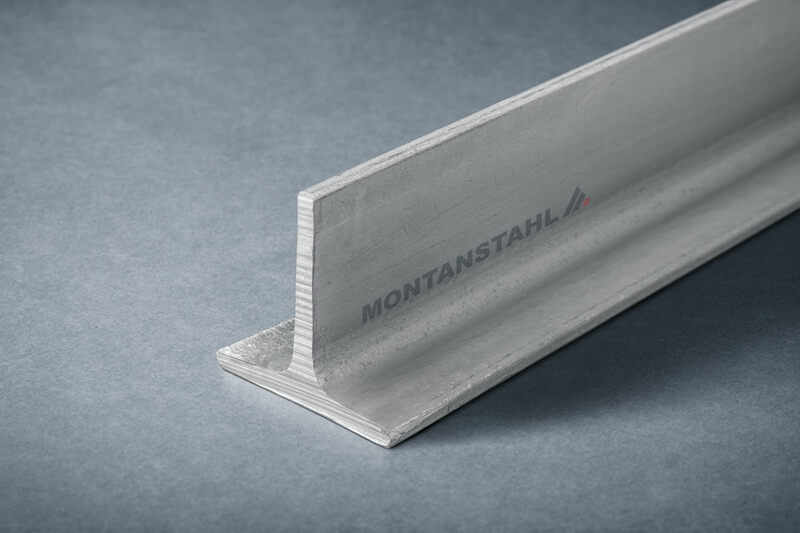 The weld seam is extremely small and smooth and does not affect the overall appeal. 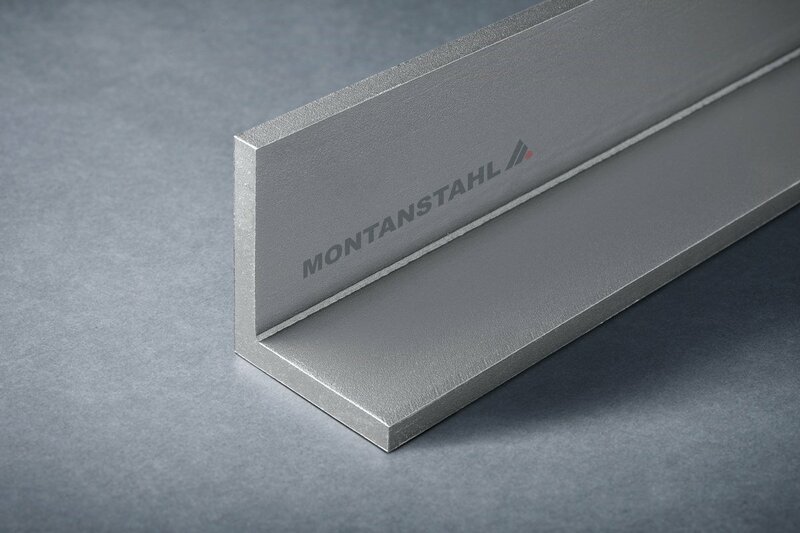 The challenging part when talking about polished stainless steel T-sections is the polishing of internal corners. When polishing the inside of the flange, the grinding belt touches the vertical part (the web) scratching it. In addition, there is a risk for making the sharp edges round. 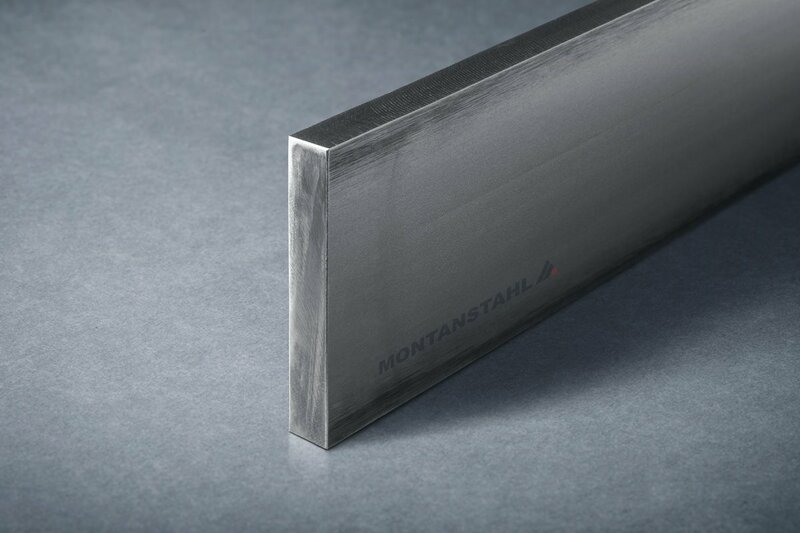 At Montanstahl, we eliminate both risks, as we polish the flat stripes are prior to assembly and welding. This ensures to have perfectly polished surfaces all around, without any sign of the grinding belt and with sharp edges. 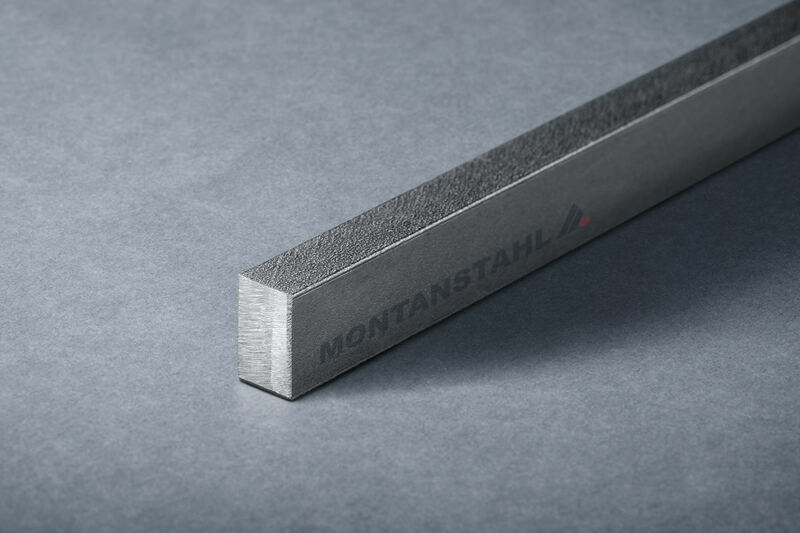 The staff of Montanstahl has skills, a lot of training and high awareness. So they care about the polished shapes from raw material over every production step to the finished product. 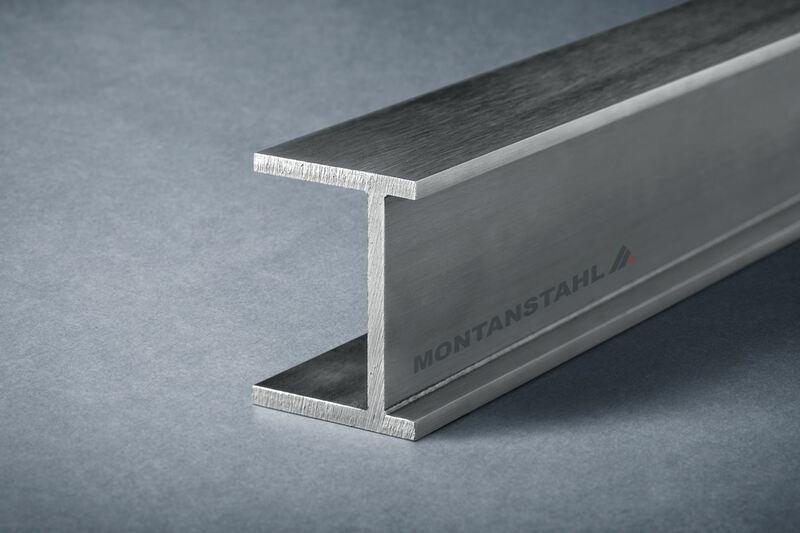 They are working with high precision, because they know: Any scratch on the surface will irreparably lead to scrapping the stainless steel profile. At the end, our employees inspect all the polished stainless steel T-sections and then pack them into a sealed air cushion that protects them during transportation. 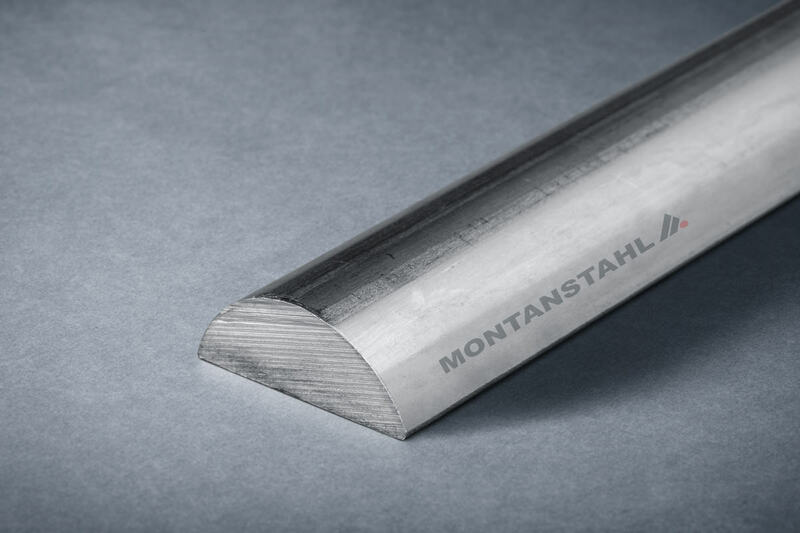 If you are looking for polished stainless steel T-section make Montanstahl your first port of call, because we will always be able to provide a ready and urgent supply of high-quality polished stainless steel T-sections. 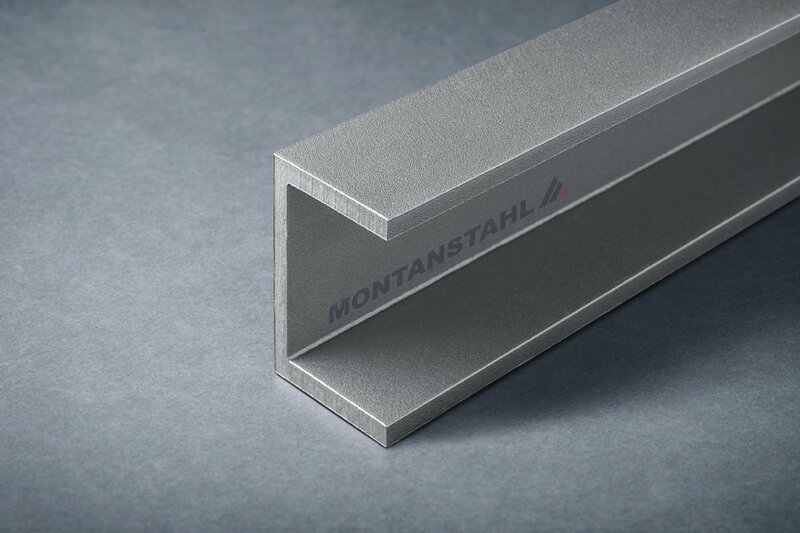 Montanstahl carries decorative polished stainless steel T-sections in the sizes from 30x30x3 millimeters to 60x60x6 millimeters in material grade 304 on stock. 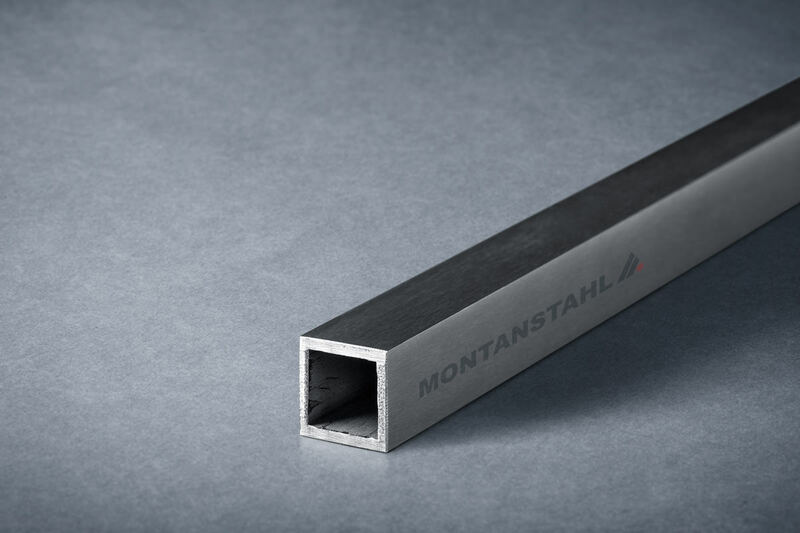 However, if you require specific custom sizes of stainless steel T-sections, we can also manufacture these to custom dimensions. 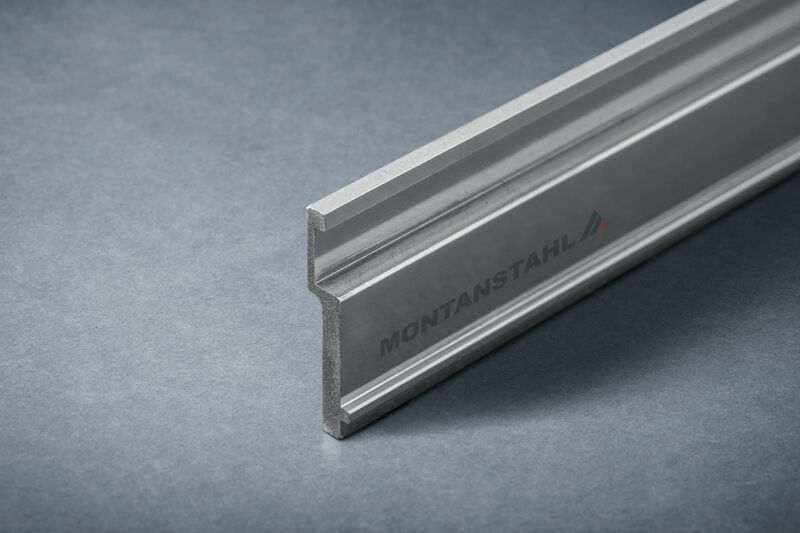 And apart from T-profiles, several different shapes like stainless steel beams, channels, angle bars, hollow sections as well as special tailored stainless steel profiles can be produced with a polished surface. Just contact our experienced sales team for further information and advice on your requirements. 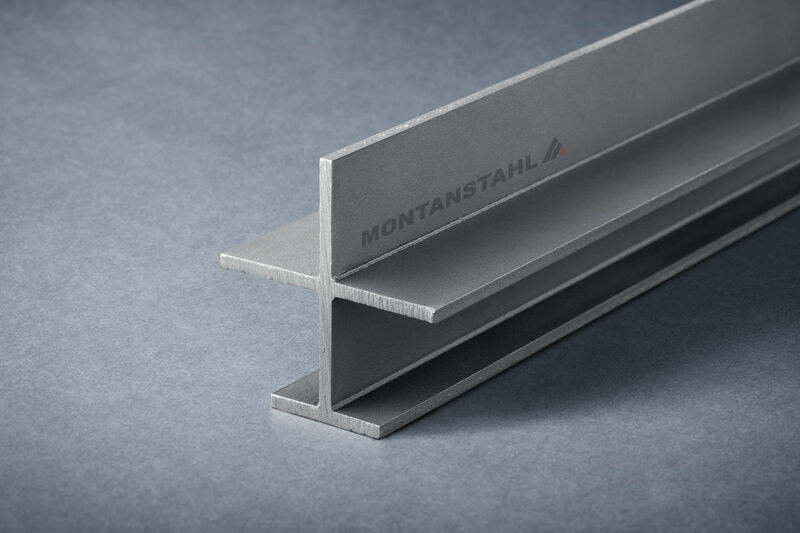 PreviousPrevious post:Stainless Steel BBQ at MontanstahlNextNext post:Stainless Steel Grades 1.4404 vs. 1.4571 – What is the Difference?